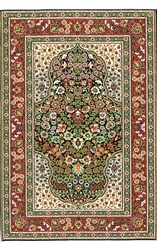 Large elegance 11" x 8" Turkish Woven Carpet with primary colors Olive Green, gold and red. Matches well with staircase runner, Hallway runner 3. 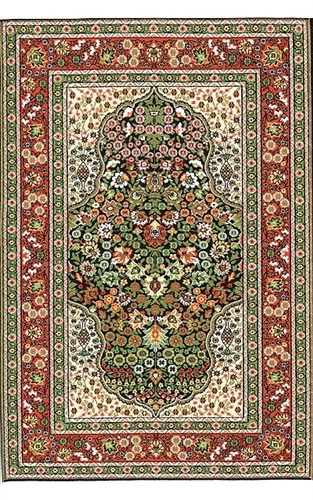 Carpet has long white fringe at both ends- that can be trimmed, removed, or left as is.